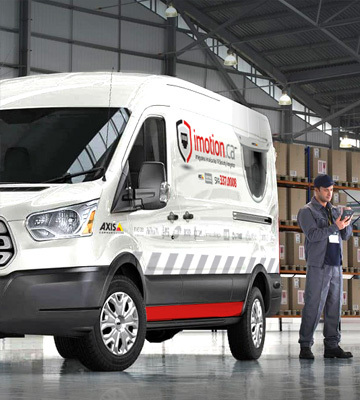 Mobile Service Unit For your convenience iMotion Security provides competent service technicians who will execute all installation, maintenance and repair tasks that your alarm, video monitoring, access control, or other system, may need. Well-trained to handle cutting edge security technology, they make routine inspections and will thoroughly teach you about any alarm system installed in your home or your business. iMotion Security has a large fleet of mobile service units. All of our trucks are equipped with a wide range of tools, parts and accessories. So, our service technicians can work professionally and efficiently from the very first service call, and this, according to the highest quality standards of the industry. iMotion Security is proud to offer the most exacting customers unrivalled customer support. With this goal in mind, our commitment is based upon the following pledge: prevention, quick response, efficiency and performance. Thank you for considering iMotion Security’s products and services - we guarantee we’ll make every effort to satisfy your highest demands. Put us to the test !